If you're looking for an Awakening: The Golden Age Walkthrough to help you beat this latest addition to the Awakening games, than look no further! Our Awakening guide is live and ready to help you survive the Minotaur invasion of your village, as the creatures search for Prince Cedric, the person they hold responsible for their recent famine. Check out our custom marked screenshots, our detailed game instructions, and our simple puzzle solutions to help you reveal what's really been happening in this supposed Golden Age of humanity in another exciting hidden object adventure game! 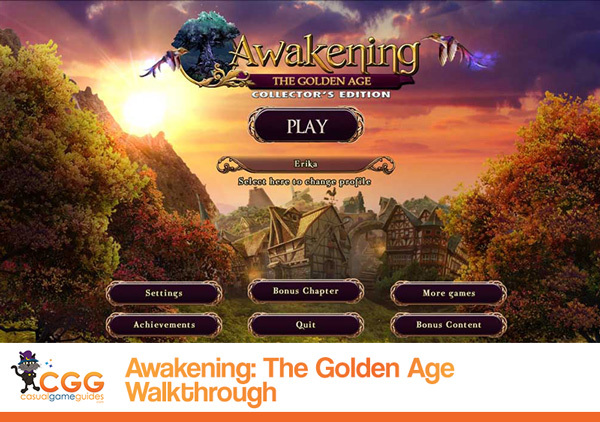 Awakening: The Golden Age Walkthrough includes six comprehensive chapters brimming with the content you need to beat the game. Whether you're looking for a way to escape the minotaur's clutches or solve the Longhorn mini-game, we've got everything you'll need to know to see those end credits roll! "Before Queen Sophia was born, the Human Kingdom lived in an age of glory: the golden age. However, this age too had its dark times. Beneath a veneer of peace, war has come with minotaurs invading human villages. But there is more to this war than meets the eye, and you must uncover it. The minotaurs claim that humans have been starving them, but how could this be true? Escape your village, investigate the truth, and journey to the ends of the kingdom and into its castles, meeting allies with unique abilities that can help you. Uncover the secrets behind the war, or the kingdom of your birth will be destroyed!" 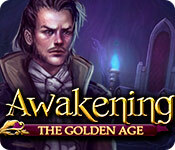 We hope you enjoy our Awakening: The Golden Age Walkthrough!